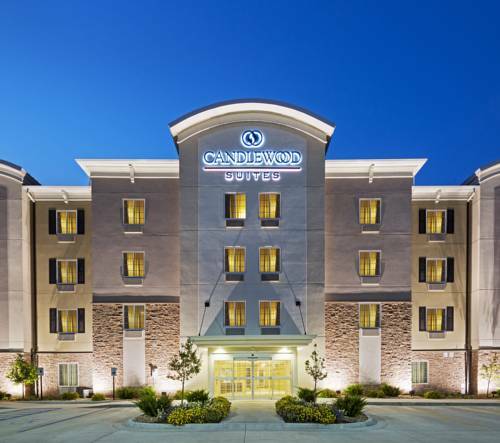 Welcome to the Candlewood Suites San Antonio Airport Hotel. For you Fiesta lovers out there, we're conveniently located in the heart of San Antonio, close to some of the most popular San Antonio shopping destinations such as North Star Mall, Alamo Quarry Market, La Cantera and River Center Mall. We are minutes from the San Antonio International Airport and offer complimentary transportation within 3 miles of the hotel. Enjoy our spacious suites featuring fully equipped kitchens, free Wi-Fi and large work spaces. Accessible from Loop 410 and US Highway 281. Just a short 10 minute drive and you will be in the Historic Downtown and the Alamo and the Riverwalk. Enjoy the finest cuisines at many of the restaurants' outdoor patio and watch the world go by in one of the river barges. We are located less than ten miles from the Alamodome. Candlewood Suites Airport is your new home away from home, our guests can cook meals in their fully equipped kitchen and relax in the overstuffed recliner while watching movies from our free movie library or their own Netflix. Business travelers will enjoy our free high speed Wi-Fi, utilize our business center to catch up on important emails and print documents, conduct meetings in our spacious meeting room and our free shuttle to and from the airport.